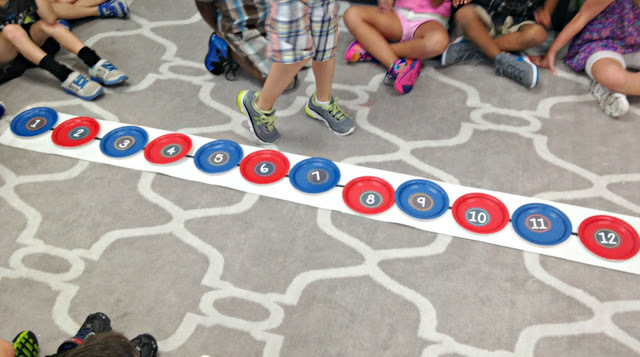 This post is all about our math schedule. 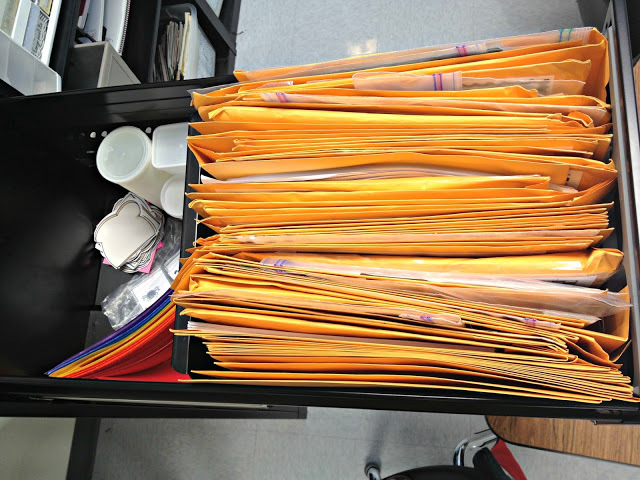 With all the components that we are required to hit daily for math, making it all run smoothly can be a HUGE concern! I have received a lot of questions about how I fit it all in and what it looks like in my room, so I compiled some pictures of us during math these last two weeks in hopes to help show how I work on fitting everything in to our day. We have just over an hour to cram it all in! Here’s what we do. First we meet around the rug. 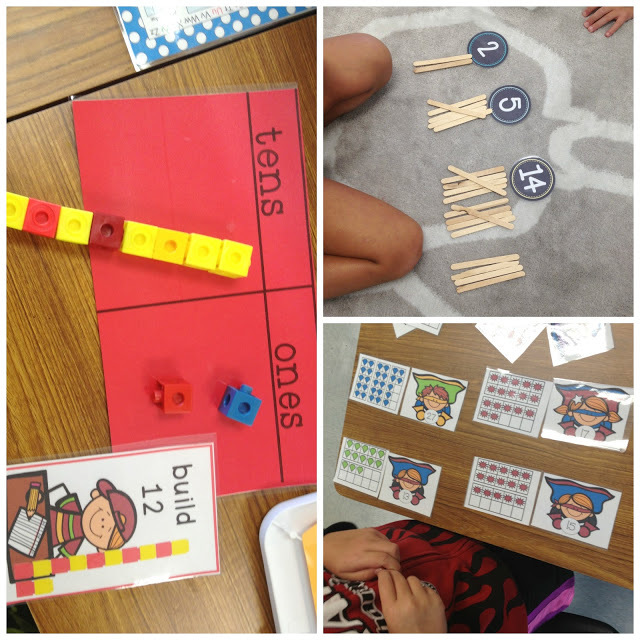 I frame the lesson with our learning objective and any math vocabulary we will be focusing on that day/week. 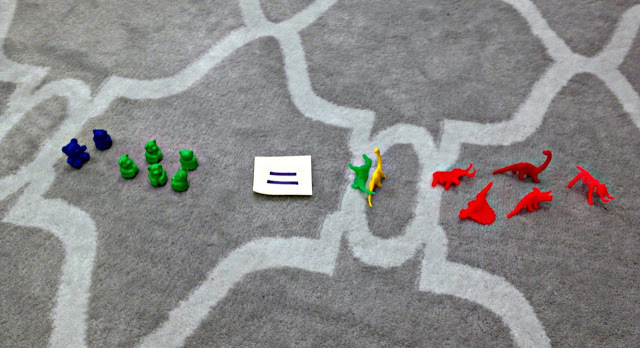 This is already set up on our little math wall so I grab from our wall as I walk to meet our kids on the rug. *Notice the little holder on the bottom right corner of the top left picture. It has all the pieces for that unit of study. It makes it easy to switch things out as needed during that 3 week unit. 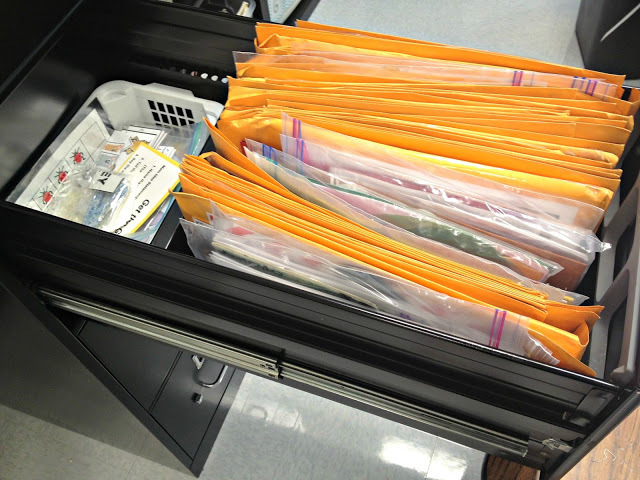 I store the math wall units in an accordion folder by unit. It makes life so much easier to grab the unit out and have it at my math wall for those three weeks. 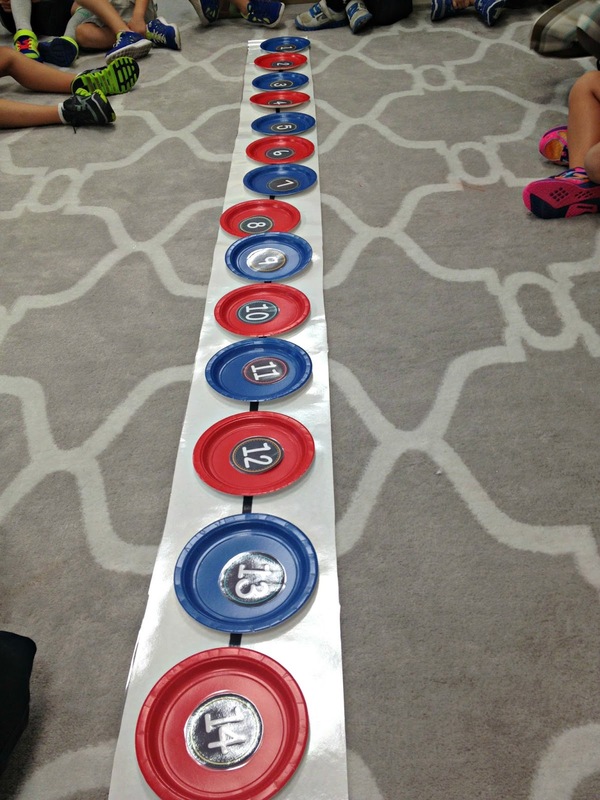 We also noticed that it doesn’t matter if your answer comes first, or your addends come first. Both sides will amount to the same! Once we have had our math lesson on the rug, It is time to break out into our math tubs. In my room every tub has a specific spot and my students rotate through the tubs. We do two a day for about 10-15 minutes each. It uses about 30 minutes of our time. Our math tubs live on top of our manipulatives making it easy for me to switch things out as needed. I normally don’t change out all my tubs at once, but I will rotate one in at a time and introduce it right before math tubs time in the room. 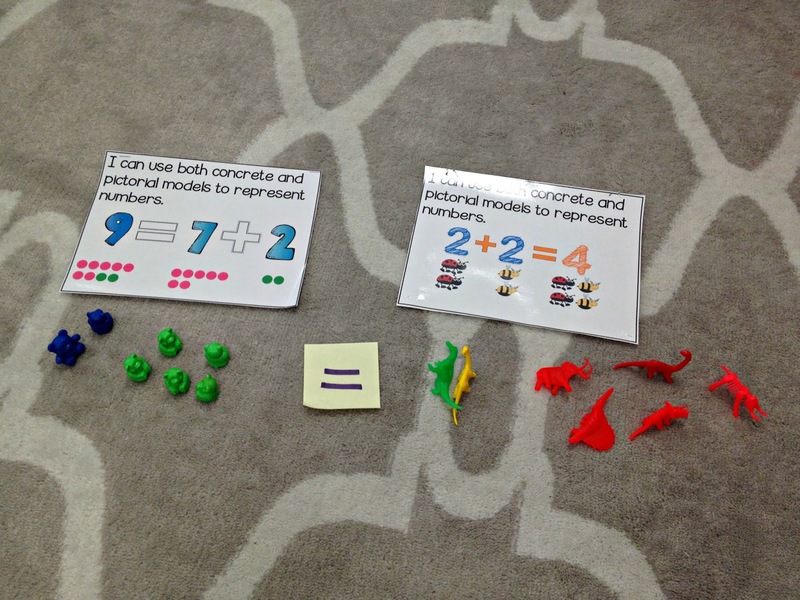 These concepts are review of skills that students have had. I keep my math tubs in my tall file cabinet. 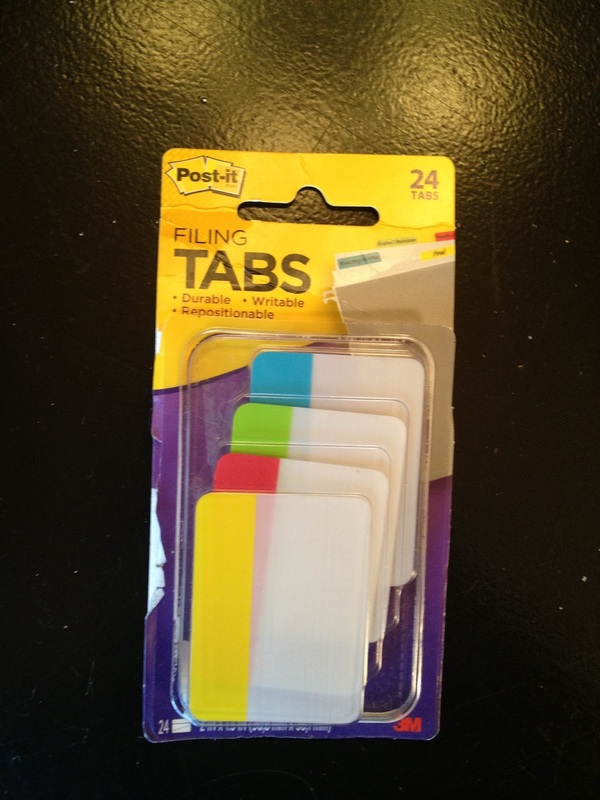 I order them by month and skill and then turn the big envelopes sideways in my drawer. The back space is for lost pieces or extra parts to the tub that don’t fit int he envelopes. 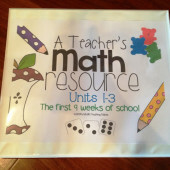 My Math Tubs are prepped from my TpT Store and other teachers’ tpt stores too! Students work at math tubs as I sit with a group and give some intervention or walk around checking off skills that I see students able to do independently. After our two rounds of math tubs, we clean up and put away. 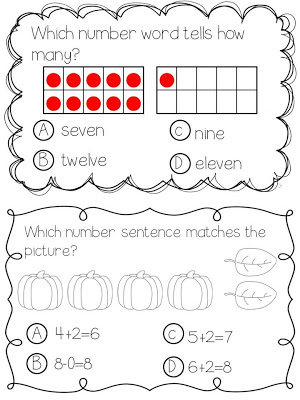 Next, we take out our math journals and do a problem of the day. 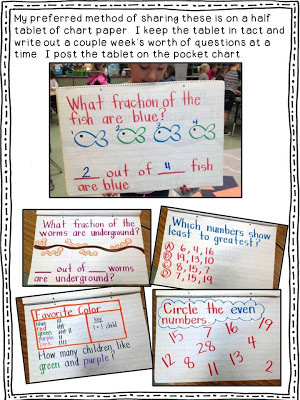 I will either make a prompt or question that matches our whole group lesson or use my Taking on the Math Test Question Charts. Journal takes up the last 15 minutes of our time. I didn’t take pictures during our journal time these two weeks. Mostly because I was making sure my students had dates, used margins, etc. 🙂 No time to even snap a picture I tell you! I hope this helps explain what it looks like for me. 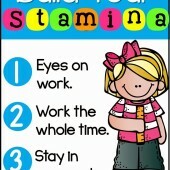 What are your must dos? Do you have wiggle room? Is your block set up in a similar way or is it very different? I would love to hear about it! Everytime I read one of your posts I leave feeling so inspired. You so totally rock, Reagan! 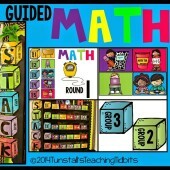 Do you use a math curriculum such as Everyday Math as well? We have unit curriculum maps with unwrapped objectives. I always love seeing your tubs in action. One question…do you use the same 8 tubs for 4 weeks (a month) so the kids get them more than once? No I keep them for about 2 weeks before they are replaced. I love this. I just feel so tied to our math book and math workbooks. Partly because I think it's an unwritten rule to use them and partly because parents pay for them with book rental. Love it all! 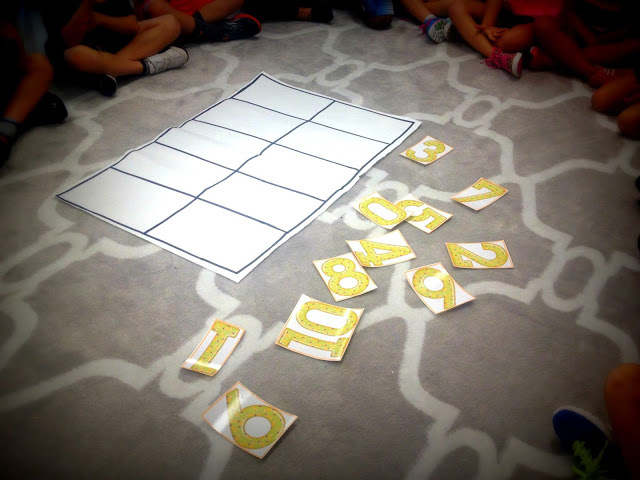 I need you to make a sheet for place value for the rise and shine binder. My kiddos struggle with it! Any ideas. My math revolves around your binder because it hits so many standards all at once. I love it! Thanks for all the amazing info! You rock! Fabulous math wall! Love it! Holy cow!!!!! You are insanely awesome. 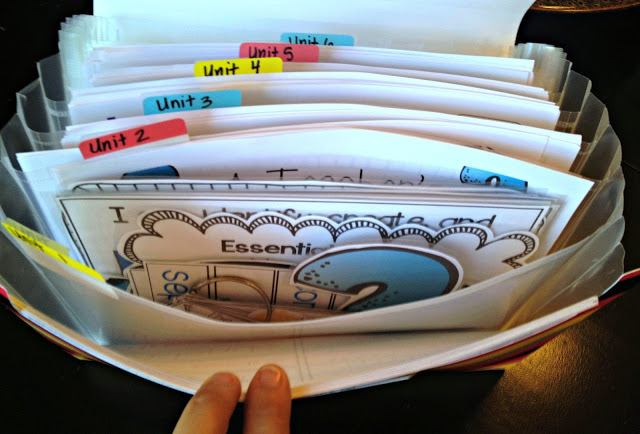 I can't wait til I'm this organized and know what I'm doing so far in advance! We have 1 hour and part of that includes walking back from lunch which is literally an 8 minute walk in the HOT Florida sun. I like how you organize it. I'm going to do something similar. Thanks for sharing! I love this!! I struggle every year with deciding how to work my math block. AWESOME! Great insight into the importance of knowing where you are going before you even start your journey! 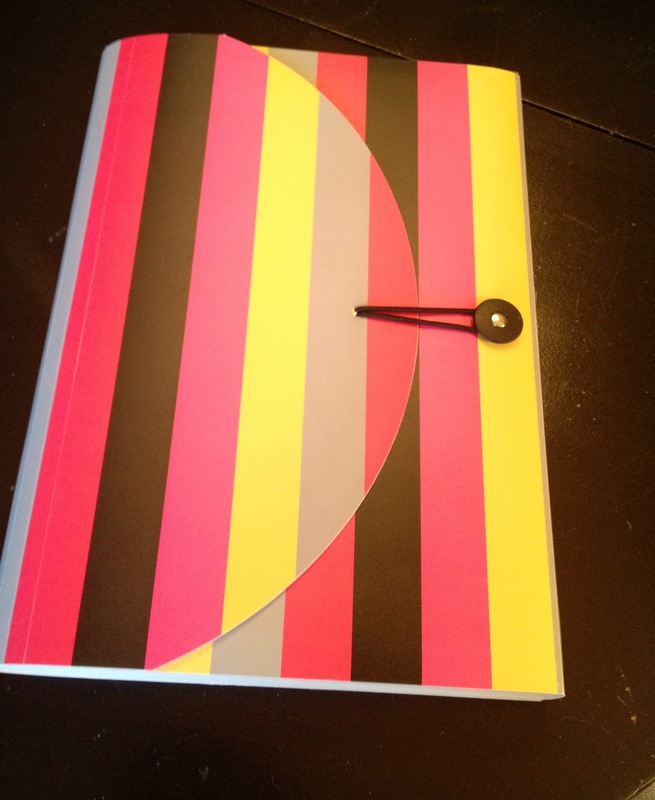 Thank you for sharing your Rise and Shine binder with the blogging community. 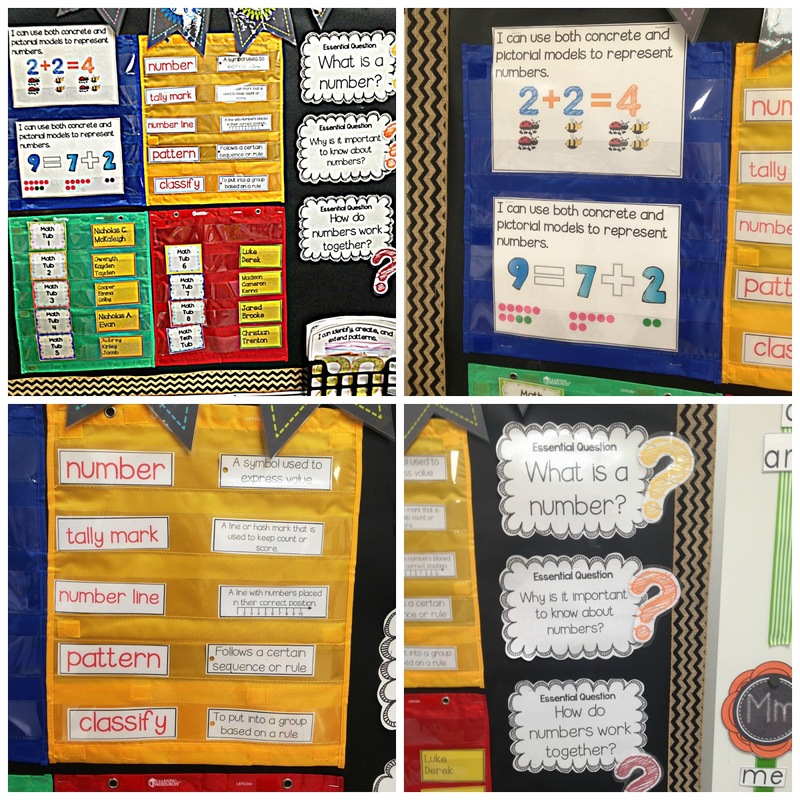 It was a bit of work to get it all organized but we are now working hard to include it in our morning routine in the same manner that you do….it's ready to do the minute the students walk in (or trickle in depending on bus arrivals!). My post today includes a nod to you! Come visit! 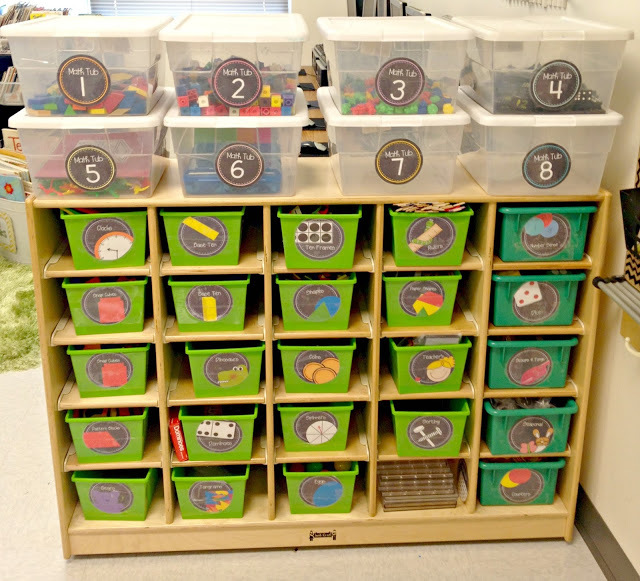 Would you mind sharing what type of management board/system you use for math bins? How do kids know which tub to use? And how do you figure out where you are going to send them each day? I am having trouble with this, since I meet with different groups on different days, and I can't figure out how to get every student to every bin throughout the cycle while also pulling some students for small group. Thanks for any help you can offer! 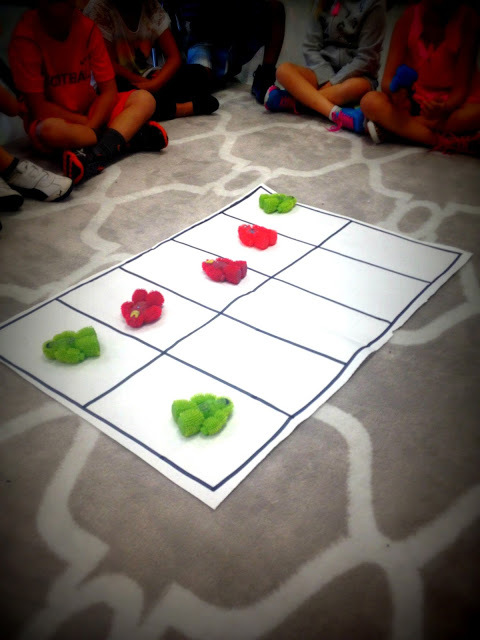 I loved reading about your math workshop. 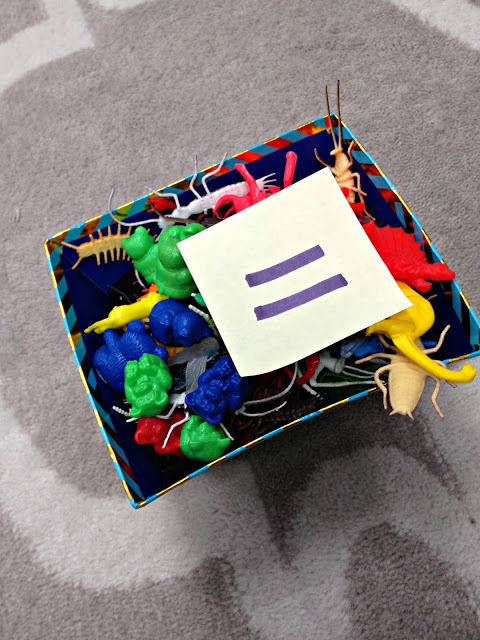 Did you make the labels on your math manipulative containers? I LOVE THEM!! Where can I find them?